Hallmark is one of the most recognized U.S. brands. The Harris Poll’s EquiTrend Study for 2018, which reveals the strongest brands in nearly 100 categories based on consumer response, reported that Hallmark has retained the number one greeting card company ranking for the eighth straight year. Other brands taking top honors included Honda, Apple, Taco Bell, The Home Depot, YouTube, Southwest Airlines and Marriott Hotels. Hallmark cards are well known as a consumer product. Anyone who receives one in the mail instantly recognizes it as a valuable piece of mail worth opening immediately. That’s what makes Hallmark cards an innovative format for marketing campaigns. The fact that these cards get opened, read, understood and acted upon right away makes them the best vehicle when your company needs more than the ordinary message and offer to get someone to take action. See how in the short video below. 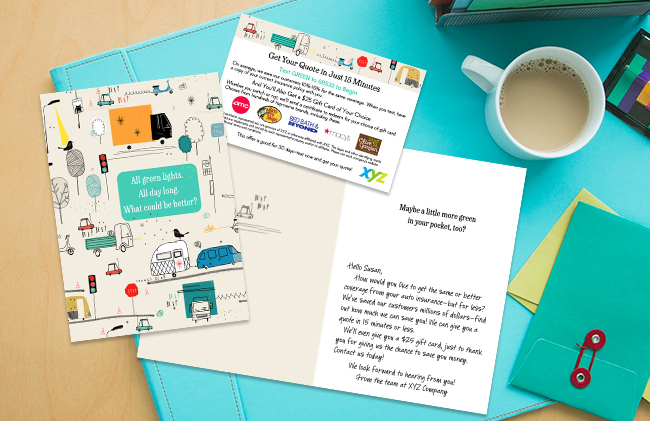 Hallmark Business Connections offers a user-friendly program that begins with a Hallmark card created with language and styling tailored to motivate your audience. The experience then includes a vast gift card offering to motivate customer behaviors. Combining Hallmark cards with the right mix of gift cards provides enough choice that each and every recipient finds a brand that means something to them. The Give It/Keep It option of gift cards for donating to non-profits is especially appealing to Millennials, the most charitable generation (although people from every generation are motivated by giving to charity). 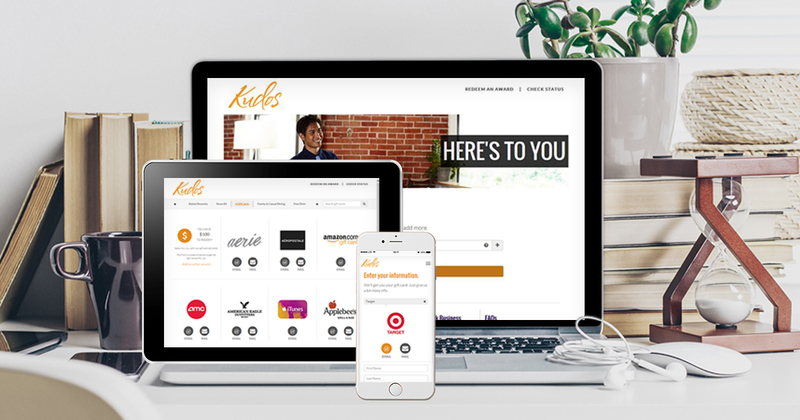 Hallmark Business Connections uses the Pay Upon Redemption (PUR) model for gift card incentives. This means that the company pays when the gift card is redeemed, not when it is issued. This is a much more economical option because companies don’t lose money on cards that are purchased but never redeemed. Hallmark offers a wide range of gift cards from which to choose, including clothing stores, movie and concert tickets, major department stores, home decor shops, sports and fitness retailers, casual or fine dining, hotels and travel destinations, salons and beauty retailers, gourmet foods and more. This makes it easy for businesses to offer gift cards that fit certain themes. For example, you could offer themes for foodies (restaurants only), family fun time (theme park, movie theater, etc. ), or self-care (spa and boutique). 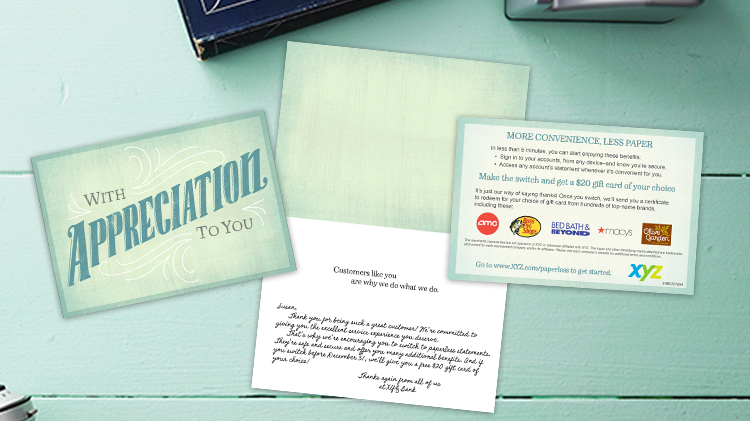 By harnessing the power of an unexpected Hallmark card, Hallmark Business Connections created a highly profitable solution for one client that included a relationship-building reminder card followed up with a $25 major-brand retailer gift card incentive. The original projection was to go from the existing 5% member response rate to a 26% response rate within the next year. Those results were achieved in the first month. Within the year, the outreach program’s response rate soared to 44%. If you agree that your customers would value and respond to Hallmark cards and gift cards in their mailboxes, contact us today! Our team of experts can help you put together the perfect program to give your company an amazing tool to engage your customers like never before.